Col. Bezyazykov, who spent two years in "DPR" captivity, is suspected of working for militants. Ukrainian Col. Ivan Bezyazykov who was freed from "DPR" last summer is detained on suspicion of collaborating with the enemy, his wife Marharita Kushnirova told Hromadske. She said Bezyazykov was arrested by four plain-clothed men with a search warrant. "While in captivity, Bezyazykov joined the self-titled 'DPR Intelligence directorate' and has served as first deputy head of the department of intelligence," the order said. During the search that followed, they seized the computer, pads, memory cards, cameras and mobile phones of the arrested. Bezyazykov was placed in a detention center and provided a state lawyer. A court will decide on the preventive measure for him. Bezyazykov's wife is convinced that her husband is not guilty. "Yes, [the militants] have tried to recruit my husband, but he disagreed, he has told about it all when he was freed from captivity," she said. Update. A high-ranking officer of the Security Service of Ukraine (SBU) Oleksandr Tkachuk at a briefing on 13 December confirmed the detention of Bezyazykov. He said the reason for the arrest were the testimonies of other Ukrainians, released from captivity. 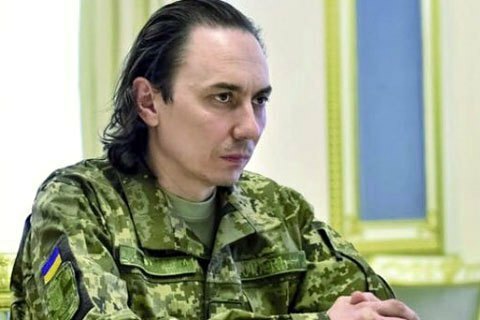 One hostage said that Bezyazykov, armed and dressed in a military uniform of the Russian Federation, persuaded him to join "DPR". Also, there were indications that the defected colonel moved freely and communicated with representatives of the Russian special services in the occupied territory. There is evidence, SBU representative said, that Bezyazykov during his stay in captivity travelled to Rostov-on-Don (Russia) to communicate with the Russian special services. "We have long been in engaged in the collection of evidence not to jump to conclusions in this case. However, the available information gives us the reason to believe that Bezyazykov has really worked for Russian special services," Tkachuk told the reporters. "Upon the release from captivity he was in touch with the 'DPR' intelligence, has repeatedly travelled to Rostov-on-Don, where met with high-placed officers of Russian secret services". Tkachuk said that Bezyazykov a few months ago tried to get a job at a defence institution to gain access to classified information. Bezyazykov is indicted of participation in a terrorist organization. The head of intelligence of the 8th Army Corps Bezyazykov was captured by the militants in August, 2014 in Donetsk Region where he, in his words, went to recover the dead bodies. He was freed from the captivity on 5 July, 2016 as a result of a special SBU operation.